A new leadership movement is gathering momentum in Australia. It is based on a simple principle: companies that operate to a higher purpose than making money are making more money. It’s not a new idea – in fact is an idea that was more prevalent among businesses 100 years ago, according to its main proponent, a professor of marketing and Bentley University in Masschusetts, Raj Sisodia. Sisodia spoke to me last year in his first interview with Australian media. Sisodia’s research over the past 15 years reveals a group of companies that are outperforming others by a factor of 10.5 to one in terms of cumulative shareholder value, when compared against benchmark indices. Who are these remarkable performers? Companies such as Google, Ikea, Johnson & Johnson, Starbucks, Caterpillar and Whole Foods are among those that Sisodia studied in detail. These companies care about their shareholders, but they care as much about their suppliers, customers, employees, society and the environment. “Companies create and destroy many kinds of value, including social, cultural, emotional, spiritual and intellectual values,” Sisodia says. Geoff Manchester, the managing director and co-founder of tour operator Intrepid Travel, is preparing to welcome Sisodia to Australia for the launch of a local chapter of Sisodia’s non-profit organisation, Conscious Capitalism. Manchester says his company has been quite rigorous internally about sticking to its principles, and soliciting feedback from its 120 staff. “We have been a bit lax about telling the world,” he says. “That is changing. We are moving involved in telling our customers what we are doing.” Manchester’s involvement in the local group is part of that change. Law firms are particularly vulnerable to becoming dominated by the profit motive, says lawyer Michael Bradley, the managing partner of Marque Lawyers, which he co-founded in 2008. “We [the founders] all came out of big law firms, which are money driven,” he says. Timesheets – the most hated element of traditional practices – have been banished, and so are time-based charge out rates. “Time-based charging doesn’t work for client. It is insanely stupid and bears no relationship to value and it is antithetical to building good relationships with clients.” Instead, the company charges a retainer or a fixed fee. 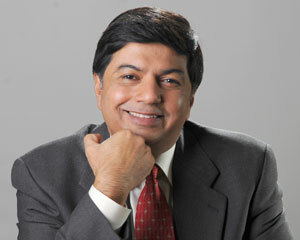 Sisodia’s theories arose from his research into why the amounts that companies spend on marketing were going up, and the returns from that market kept going down. Marketing faced a productivity problem. The spend was increasing and the outcome going down. Also, Sisodia found the image of marketing was negative: about 85% of people in and out of the profession had a negative view of it. Sisodia started looking for companies that spent very little on marketing compared to others in their industry but which still had high levels of loyalty and trust among customers. He found that most such companies were equally loved and trusted by suppliers and employees. He then looked for companies that people loved. About 500 were nominated. He narrowed them down to 28 after deeper research eliminated any company where there was a whiff of trouble in their dealings with any of their stakeholders. “There was something distinctive about the reasons why these companies were in business. It was not a profit-maximising mindset – it was more of a higher purpose. They were not just another retailer, or internet company. He found a different style of leadership among these companies, based on mentoring and motivation. Such leadership and purpose are not the sole domain of consumer focused businesses, Sisodia says. He concedes that a tobacco company, in the face of today’s scientific evidence, could not find an authentic higher purpose. However, miners and other industrial companies can apply the higher purpose test, he says. “Posco, in South Korea, is the most admired steel maker in the world. They do a number of things that make them unique. They have a tremendous record of making a positive environmental contribution wherever they work.” He cites other industrial companies including a power management company called Eaton, WL Gore and Assoc, the makers of Gore-Tex fabrics, and the Indian conglomerate, TaTa Group. So how has businesses come to be so much at odds with society? The narrative about capitalism has been hijacked by a narrow view that if companies harness the forces of selfishness and greed, something good will come of it, Sisodia says. “There is a richer narrative. In the past 200 years, the era of capitalism, we have gone from 85% of people being abjectly poor to only 15% living on less than one dollar a day.